The dreampop five-piece Nightjacket are opening for bi-coastal experimental outfit Guardian Ghost tonight at Harvard & Stone, with Ventura garage-rockers The Pullmen. If you haven't already, now's as good a time to check out Nightjacket with the recent buzz they've received on their fluorescent EP "Eternal Phase", a strong sign for the group's continued efforts. For fans swamped with work and school on a Wednesday, you're in luck — they're also performing this Friday at the Armory Center for the Arts in Pasadena at 7 and 9pm, as part of the bi-annual ArtNight Pasadena event. Both shows are free, by the way — Harvard & Stone is 21+ with strong drinks and cabin décor, and ArtNight opens up 21 galleries and institutions for eye candy to go along with your ear candy. 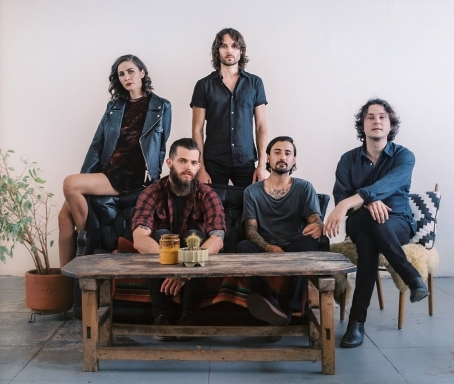 Dream pop quintet Nightjacket go for a paisley vibe on their latest single "It's Alright", a tender and sophisticated number with light psychedelic elements that brings to mind the woozy, country-tinged elements of mid-career Mazzy Star. 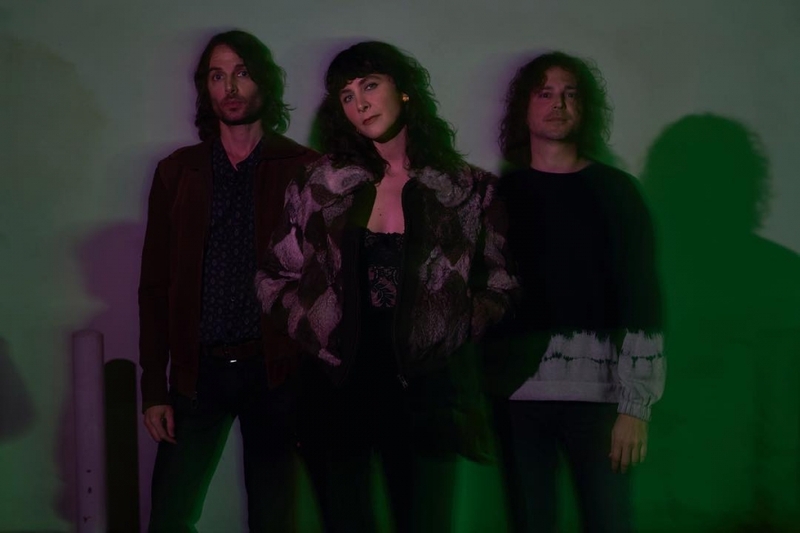 Singer Holland Belle's vocals are more affective than langorous, though, her resonant vocal exertions a good fit for the band's brisk, jangly tempo. Mixed by Jeff Ziegler (The War on Drugs, Kurt Vile), the songs on their debut EP, Eternal Phase, sound impressively confident, never straying from solid songwriting even when they're just about to verge into droning atmospheric textures. The self-released Eternal Phase comes out in digtal markets on June 23, which the band will be celebrating with a pre-release show the night before at The Echo.